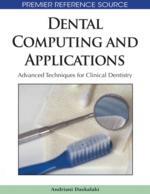 In this chapter, the author will demonstrate and describe a project to develop a unique database with multilingual information and knowledge resource for biomedical dental materials and their properties. The database will be populated with high-quality, peer-reviewed information, equipped with an original search engine which would include all necessary information to (1) do standardization of therapeutic treatments (2) understand, the tissue response to biomaterials; (3) identify biomaterials and tissue matrix environment, to allow deeper understanding of the underlying relationship which allow more effective device design and engineering; (4) develop enabling tools by improvements in high-throughput assay and instrumentation, imaging, modalities, fabrication technologies, computational modelling and bioinformatics;(5) promote scale up, translation and commercialisation. The digital revolution affects our lives daily. The introduction of computer technology has greatly affected the way the restorative dentist practices, and the evolution of cyber technologies in dentistry are no longer a fantasy. Adhesive dentistry has replaced the manner in which we prepare, restore, and bond restorations to teeth. The entire field of ceramics and methods of fabricating aesthetic restorations are entering a new era. The exceptional prognosis of various implant systems has changed the way we think about maintaining hopeless teeth. Through tissue engineering (TE), the 21st century may be revolutionary in the way we replace missing teeth and lost tooth structure. Further on, in today’s globalized world, scientific discoveries are introduced and swiftly absorbed into clinical practice. In dentistry, new products are launched daily, most of which are used in oral and dental surgery. When these products or biomaterials, are used, they come into direct contact with living tissues, such as dentin, pulp, the alveolar bone and periodontal tissue, and sometimes stay in contact for prolonged periods (Figure 2a). In order to gather together huge knowledge from this interdisciplinary field, we will try to help in this work, organizing digital library for dental biomaterials, its long-term preservation, accessibility and usability. Consequently, our tem plan to create new digital library which will be designed to cover the following aims, as presented in Road map at Figure 1. Enabling the mass-individualization of learning experiences, through systems allowing faster acquisition of competences and skills, increased knowledge worker productivity, and more efficient organizational future learning processes. Biomaterial is defined, in the broader sense, as any pharmacologically inert material that is capable of interacting with a living organism without causing adverse reactions either at the site of the implant or across the whole organism (Agrawal,1998). The treatment with dental biomaterials of gum, mucosal and hard tissues, represents a therapeutic risk that can only be contained if the dental professional has knowledge of the qualities, strengths and properties of the products (Figure 3). The use of biomaterials without any recognized criteria for bio-safety not only causes clinical problems such as therapeutic failure, but also gives rise to ethically conflicting situations (Figure 13). This is because the patient may undergo treatment without knowing about the subsequent risks, either to himself or to the dental professional.